At Landmark View Hotel, enjoy a satisfying meal at the restaurant. Make yourself at home in one of the 7 guestrooms featuring DVD players. Complimentary wireless Internet access keeps you connected, and digital programming is available for your entertainment. Bathrooms have bathtubs or showers and hair dryers. Conveniences include desks, and housekeeping is provided daily. 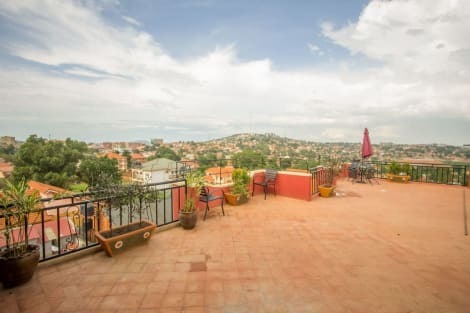 This charming hotel is set in Kampala. 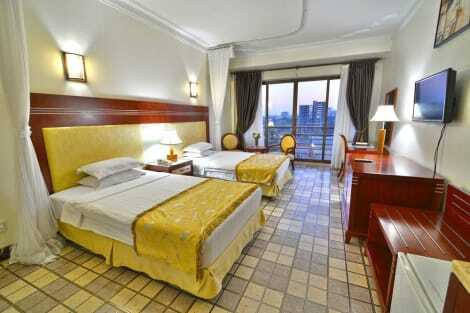 This hotel offers a total of 42 accommodation units. Those who dislike animals may enjoy their stay, as this hotel does not allow pets. Make yourself at home in one of the 252 air-conditioned rooms featuring kitchens. Rooms have private balconies. Complimentary wired and wireless Internet access keeps you connected, and satellite programming provides entertainment. Private bathrooms with shower/tub combinations feature deep soaking bathtubs and hair dryers. 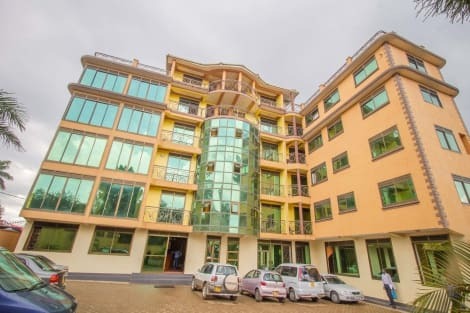 With a stay at Kabira Country Club, you'll be centrally located in Kampala, within a 10-minute drive of The Acacia Mall and British High Commission. This family-friendly hotel is 6.1 mi (9.8 km) from Lake Victoria and 1.6 mi (2.6 km) from Ndere Cultural Centre. Make yourself at home in one of the 90 individually decorated guestrooms, featuring kitchenettes with ovens and microwaves. Your pillowtop bed comes with premium bedding. Rooms have private balconies. Wired and wireless Internet access is complimentary, while 40-inch LCD televisions with satellite programming provide entertainment. At Minister's Village Hotel, enjoy a satisfying meal at the restaurant. Wrap up your day with a drink at the bar/lounge. Located in Kampala, Verona Hotel Kampala is a 3-minute drive from Rubaga Cathedral and 6 minutes from Buganda Parliament. This hotel is 7.2 mi (11.6 km) from Lake Victoria and 1.6 mi (2.6 km) from Kabaka's Palace. Located in Kampala, Satellite Hotel is a 3-minute drive from Ndere Cultural Centre and 5 minutes from Baha'i House of Worship. This hotel is 8 mi (12.8 km) from Lake Victoria and 3.3 mi (5.3 km) from The Acacia Mall. Make yourself at home in one of the 18 guestrooms. Private bathrooms with showers feature rainfall showerheads and complimentary toiletries. Conveniences include desks and complimentary newspapers, and housekeeping is provided daily. At Tristar Hotel, enjoy a satisfying meal at the restaurant. Quench your thirst with your favorite drink at the bar/lounge. 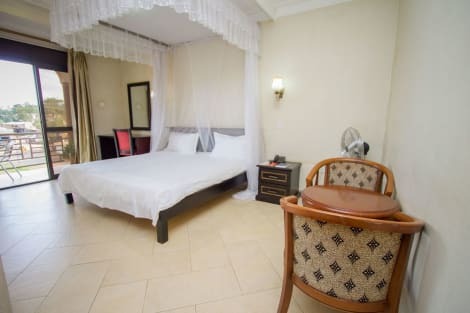 lastminute.com has a fantastic range of hotels in Kampala, with everything from cheap hotels to luxurious five star accommodation available. We like to live up to our last minute name so remember you can book any one of our excellent Kampala hotels up until midnight and stay the same night.